Mommy's Nest: Spring is Friggen Awesome! I had my hubby's Aviator to take my Aunt Penny back to Albert Lea from her trip to Florida. about 60 Wednesday and Thursday? Of course today the weather stinks. But this song MNMom posted is friggen AWESOME. You know WHO else is awesome? My friend Becky...I am so proud to be able to call a fun, positive, smart and BTW gorgeous woman my friend. Our kids even get along!!! Could you ask for more? Has pictures, interesting videos, and if you like smart talk about science-y geek stuff, she is also your gal! That is all - you are free to roam the blogosphere! 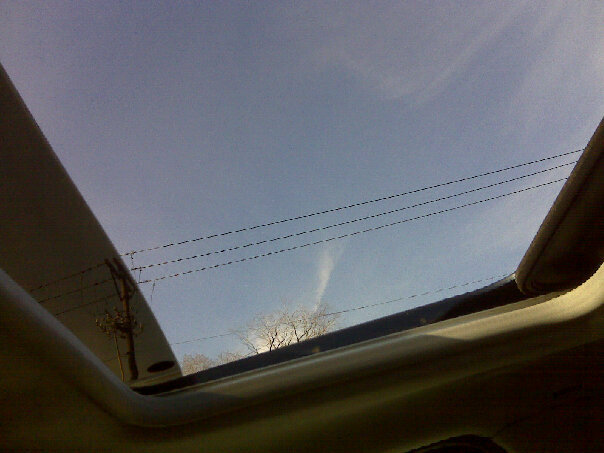 Ya gotta love tohose sun roofs...oh yea! I love laughing! Thanks for the video!